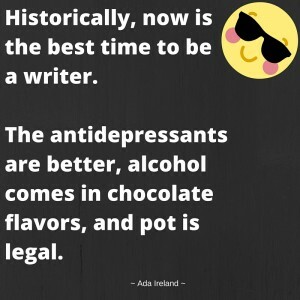 It’s a well known fact that writers (and artists in general) are highly susceptible to nervous breakdowns, dramatic outbursts, and roller coaster moods. To that I say, yes, it’s true. BUT, look at the bright side. 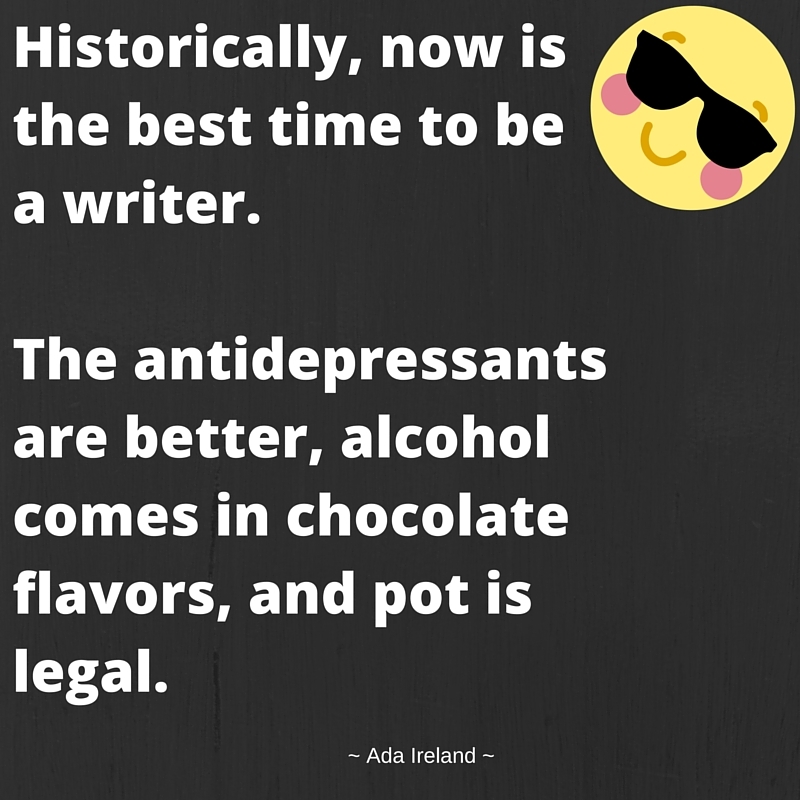 Historically, now is the best time to be a writer. Alcohol tastes like chocolate – craft beer comes in awesome sounding flavors, like sponge candy stout, salted caramel brew, to name just a couple. And, last, but not least, pot is legal. Really, what more can you ask for? You get to act crazy, get a good buzz out of it, and have a masterpiece to show off after.